Monday marked day 17 of the federal government’s partial shutdown, the long-running result of a stalemate between President Donald Trump and Congress over Trump’s promised border wall. In its third week, the shutdown is now the longest since December 1995, when the federal government stayed closed 21 full days. Not everything is closed. Law enforcement and mail workers are still on the job; about 75 percent of the government is funded. But operations have been impacted at nine sprawling federal departments, and some 800,000 of the country’s 2.1 million federal workers are not being paid. What does all that mean for Texas? Thousands of federal workers in Texas are among those nationwide who have been compelled to work without pay as the government remains partially shut down. Thousands of Transportation Security Administration workers staffing airport security screenings are expected to continue working. But hundreds have been calling in sick, according to a Friday report from CNN — including two to three times more workers missing work than usual at Dallas-Fort Worth International Airport. "This problem of call outs is really going to explode over the next week or two when employees miss their first paycheck," a DFW union official told CNN. "TSA officers are telling the union they will find another way to make money. That means calling out to work other jobs." For some federal workers in Texas, there may be good news: According to Lisa Givens, a spokeswoman for the Texas Workforce Commission, federal workers who are furloughed or working without a paycheck may be eligible for unemployment insurance benefits. As of Monday, the commission has received more than 1,800 initial claims associated with the shutdown, Givens said. As workers considered “essential,” Border Patrol agents remain on duty — but it’s not clear when they will be paid. Immigration courts, which are contained within the Department of Justice, have seen major delays amid the shutdown. Most are closed, with the exception of courts hearing cases of migrants who are currently detained. There is already an enormous backlog: There are more than 800,000 pending immigration cases nationwide, including about 119,000 in Texas. Immigration court dates that fall during the shutdown may be postponed for as long as three or four years, The New York Times reported. The shutdown has thrust much of the federal court system into chaos, with furloughs at the Department of Justice and funding running out for federal district courts. Federal courts, operating on “limited funds,” aim to sustain paid operations through next Friday. Attorneys for the federal government asked for a pause in proceedings of a Texas-led challenge to the Affordable Care Act, which a federal judge declared unconstitutional last month. Justice Department lawyers are prohibited from working “except in very limited circumstances,” attorneys wrote in the case filing. That restriction could delay already slow-running civil cases. National parks are open… sort of. 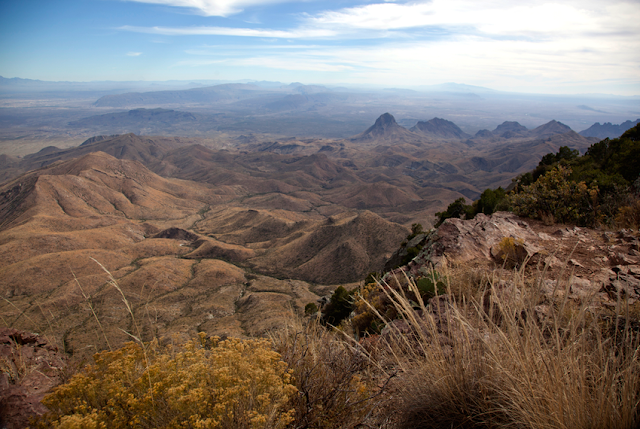 The shutdown has reached Texas’ 14 national parks. Sites across the country remain open, but there are no visitor services being provided — that’s everything from trash collection to road maintenance. That marks a departure from practice in previous extended government shutdowns, when the service blocked public access to many sites in order to decrease risks of injury to visitors or damage to the sites. The Washington Post reported that three people have died in accidents at National Parks Service sites since the shutdown began last month. The Post also reported Sunday that the Interior Department will begin paying for expanded operations at some popular sites using entrance fees — what one top official called an “extraordinary step.” But officials have not yet made clear which sites might restart operations, according to Politico. The Internal Revenue Service is among the agencies affected, slowing down financial transactions for some lenders and home buyers. Many lenders (for mortgages, student loans or other borrowing) require official income verification from the IRS — and those transcripts are not being sent as the IRS remains largely shuttered. Tax refunds could also be delayed, especially if the shutdown persists.